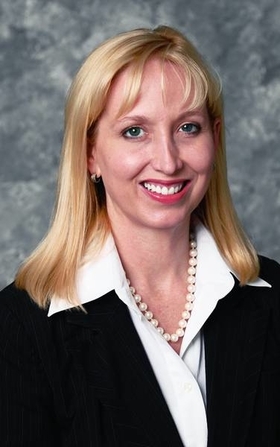 Tenet Healthcare Corp., Dallas, said its chief compliance officer, Steven Ortquist, will leave the company later this year and be replaced by Audrey Andrews, Tenets vice president and assistant general counsel for regulatory affairs, effective Nov. 15. Ortquist joined Tenet in August 2005 to help negotiate a corporate integrity agreement with the federal government and further implement the companys compliance systems, a Tenet spokesman said. With those tasks completed, he is leaving to pursue other opportunities, the spokesman said. Andrews, 39, who joined Tenet in 1998, was part of the team that worked on the integrity agreement. Tenet owns or operates 66 hospitals, including nine held for sale, in 12 states. MedStar Health, Columbia, Md., said its CEO, John McDaniel, will retire Jan. 1, 2008, when he will be 65. McDaniel has been CEO of seven-hospital MedStar and its predecessor, Medlantic Healthcare Group, for the past 25 years. He will be succeeded as CEO by MedStars president and COO, Kenneth Samet, 48. McDaniel will continue with the organization as chairman and president of the MedStar Health Foundation. Childrens Hospital, Denver, named James Shmerling, 52, as its new president and CEO, effective the first week of 2007. He will replace Dori Biester, 65, who is scheduled to retire at year-end after serving as CEO of the hospital since 1998. Shmerling currently is executive director and CEO at 216-bed Monroe Carell Jr. Childrens Hospital at Vanderbilt, Nashville. The California Medical Association named Joe Dunn, a state senator and trial lawyer, as its new CEO. Dunn, a Democrat who has served in the state Senate since 1998, replaces Jack Lewin, who left the 35,000-member CMA to head the American College of Cardiology. Dunn, 48, is being forced to give up his seat by term limits and lost the Democratic primary for state comptroller about five months ago. CMA President Michael Sexton said Dunn was chosen after a nationwide search.